DOVER, Del. (Sept. 26, 2009) — Clint Bowyer was on a mission Saturday — to rejuvenate the NASCAR Nationwide Series program of Richard Childress Racing’s No. 29 Chevrolet. Mission accomplished. After passing polesitter Kyle Busch for the lead on Lap 118 at Dover International Speedway, Bowyer led the final 83 laps of the Dover 200 and beat Mike Bliss to the finish line by 1.319 seconds to win his second series race of the season and the eighth of his career. 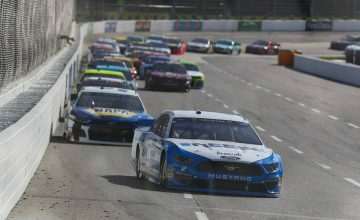 On a day that didn’t fulfill the promise of rain until the race was over, Busch, who came home fourth and widened his series lead to 211 points over fifth-place finisher Carl Edwards, wasn’t the lightning rod for controversy this time. That distinction went to third-place finisher Brad Keselowski, and Denny Hamlin, who spun into the wall on Lap 190 after contact from Keselowski’s Chevrolet. After the race, Hamlin confronted Keselowski on pit road, but crew members broke up the shoving match before it could escalate. Team owner Richard Childress asked Bowyer to replace Stephen Leicht in the No. 29 and run a three-race stretch starting at Dover to establish a baseline of consistency for the car. Bowyer, who won the NASCAR Nationwide Series championship last year, has shared driving duties with Leicht and Jeff Burton this season. “Stephen’s a wonderful racecar driver — he’s done a good job for us this year,” Bowyer said. “This is tough times. We haven’t been where we wanted to be with this car. We needed to get this car running better, and Dover is one of my best racetracks, so it is fitting for me to get in that car and race this race. 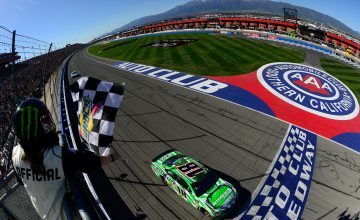 Bowyer’s crew chief, Doug Randolph, said the team made adjustments to correct a tight handling condition in Bowyer’s car during the first cycle of green-flag pit stops, and from that point on, Bowyer was the class of the field. The incident between Keselowski and Hamlin brought out the fourth and final caution of the race. Keselowski was attempting to pass Hamlin to the inside when the contact occurred. 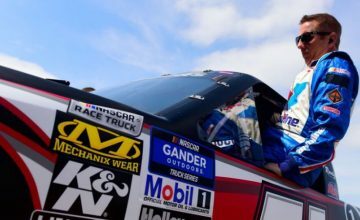 Keselowski retorted, “You always do,” and the drivers traded insults until Tony Eury Jr., who works with Keselowski’s JR Motorsports team on which his father (Tony Eury Sr.) serves a crew chief, stepped in to defuse the situation. Related ItemsBrad KeselowskiCarl EdwardsClint BowyerDenny HamlinDover International SpeedwayJR MotorsportsKyle BuschMike BlissNationwide SeriesRichard Childress RacingTony Eury Jr.